Like a masterful film. Every image on the left syncs up beautifully with the image on the right. This type of synchronicity is poetic--easily missable. There are no words or titles to the images. I felt like I was in a dream (NB: I said dream, not nightmare). A meditation on the simple joys and pleasures of life. The little things. Nothing. Describing the work of Kawauchi is useless. It's just visual bliss. #1. Stunning photographs on their own, but the way they are paired with each other is truly incredible. Somewhere on the internets, I read that this was an amazing book, the latest by a contemporary photographer. Just from looking at the photos here, I love Rinko Kawauchi's sense of light and color. I like how the photos are presented with a white border, no text, and a dialogue between the two on facing pages. There is also an unusual binding style (Mandy Knapp, you may know about this), in which the bound pages are folded on the outer edges (making a double page) and the spine of these pages is not attached to the hard cover. The Goodreads description calls this "Japanese binding." 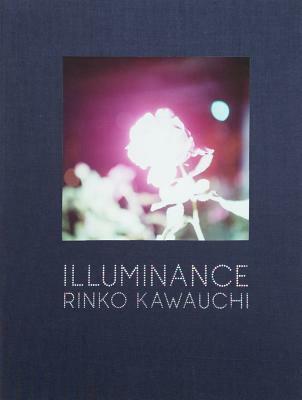 Just from looking at the photos here, I love Rinko Kawauchi's sense of light and color. I like how the photos are presented with a white border, no text, and a dialogue between the two on facing pages. - Becky, Teen LibrarianReserve a library copy! The perfect set of Kawauchi photos, the simple title ties them all together beautifully. All I ever wanted from her, this book is a treasure.